If you’re looking for Super Bowl predictions, look no further – as long as we’re talking about marketing around the big game. Besides, the field of teams in the playoffs this year is too tight to make a bold prognosis about its participants. After touching base with five of the top creative minds in the PR industry, I’m sure of a few winning strategies brands will use to reach consumers during the biggest mass media event of the year. For one, brands have figured out who’s going to be the star of their Super Bowl marketing pushes: you. Campaigns launched the night of the game, or online in the days ahead if the recent trend holds, are going to be more layered, interactive, and dependent on the consumer’s willingness to play ball. That means mobile experiences, social interaction, and developing plotlines that take shape throughout the game. "We are going to see a lot of multiscreen marketing around the Super Bowl advertising. Activities like tweeting to send a response to a particular commercial to choose an ending will start to be used often," says Jim Joseph, president of the Americas at Cohn & Wolfe. "I’m even predicting we may see multiscreen activations with the audience in the stadium." Which is to say that if you enjoyed Choose Your Own Adventure gamebooks as a kid, this might be the Super Bowl for you. Burson-Marsteller US strategy chief Thomas Gensemer is looking for "some form of playing around with commercial plotlines based on social or mobile engagement of some sort." "The kinds of brands that can afford to be on the Super Bowl are obviously well aware of the power of having messages and stories that span across mediums and screens," notes Tom Hudder, FleishmanHillard’s executive creative director. "I would watch for brands that take that integration to the next level, stories that migrate and take shape across different mediums." And good luck to the social media gurus who want the night off. Brands are going to have teams of creatives, crisis gurus, and digital ninjas huddled in war rooms with lawyers on speed dial, ready to take advantage of any unexpected events that take place during the game. 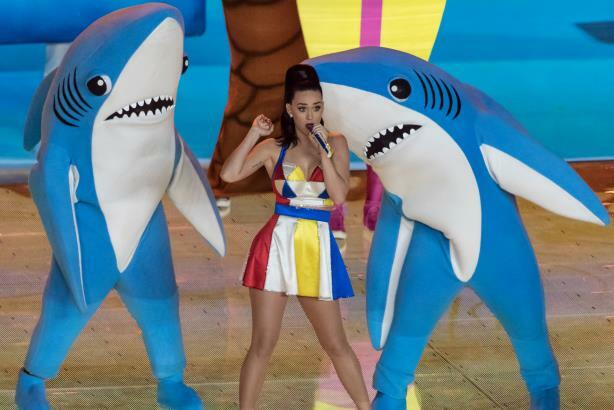 (While Oreo’s Dunk in the Dark became an industry-wide case study two Super Bowls ago, a more recent example are the brands that poked fun at Left Shark’s rhythmless gyrations during last year’s halftime event. "Watch for brands to attempt to be relevant in social during the game," predicts Josh Rose, EVP and chief creative officer for Los Angeles at Weber Shandwick. "Quick-turn creative that engages people around events happening during the game, including the advertising, will likely be a ubiquitous part of ‘big game advertising.’"
But producing social media content in real time is the easy part; it’s a lot harder to actually be funny. "We’ll see a lot of attempts to market the moment. I have no doubt that brands and agencies will have social media teams huddled in war rooms around the country, ready to pounce at the slightest meme-worthy moment," says Kwittken chief creative officer Jason Schlossberg. "In general, I find that these attempts fall flat at best or come off as forced or desperate at worst. Consumers themselves remain the best in-the-moment marketers." Here’s my prediction: most brands will go for funny, some will succeed, and a few will take a serious tone on societal issues that need tackling. It is an election year, after all. But I hope none are as serious – dead serious – as Nationwide’s much panned "dead kid" spot from Super Bowl XLIX, which was a buzzkill for millions watching the game last February. My bet is brands keep it creative, fun, and positive for the millions of people watching the big game. In 2016, the success or failure of their ads depends on you.